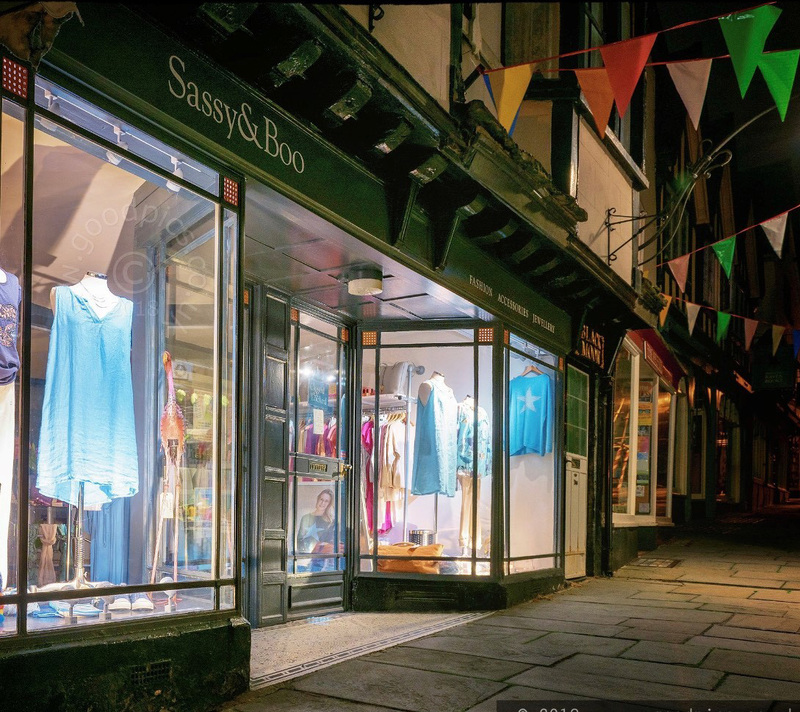 Sassy & Boo was launched by Alison Townshend in the select area of Margaret Buildings in Bath in 2005 and was quickly followed by more stores in Tetbury, Chipping Sodbury and Malmesbury. In 2014 Alison launched her own label Luella in response to a need to offer interesting and individual designs at a great price point, as well as to provide new collections on a monthly basis. This gives Sassy & Boo – as well as Luella stockists around the UK – something new and fresh to offer discerning ladies who are looking for something different each time they visit their local boutique. More stores have followed, including Luella in Winchcombe and Love from Luella in Salcombe and Falmouth, where Alison’s eye for colourful linens and cashmere knitwear have proved to be exceptionally popular. Further Sassy & Boo stores have opened in Woodstock and more recently in Frome and Cirencester, with further stores planned for the future. Alongside Luella, Sassy & Boo sells a range of other contemporary brands including One Season, Great Plains, Milano, Cream, Sandwich, Jayley, Robell, Ana Montana, and One Hundred Stars. This is complemented by various footwear brands and accessories throughout the year, with an often eclectic and diverse choice of one-off pieces as a result of Alison’s buying trips to Europe and India. Everything a Sassy lady needs can be found in one of Alison’s stores.